Based on ethnographic fieldwork from Santa Barbara, California, this book sheds light on the ways that food insecurity prevails in women’s experiences of migration from Mexico and Central America to the United States. As women grapple with the pervasive conditions of poverty that hinder efforts at getting enough to eat, they find few options for alleviating the various forms of suffering that accompany food insecurity. 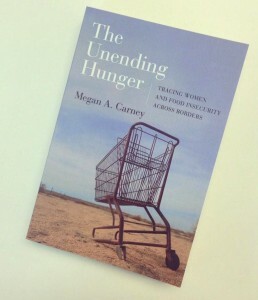 Examining how constraints on eating and feeding translate to the uneven distribution of life chances across borders and how “food security” comes to dominate national policy in the United States, this book argues for understanding women’s relations to these processes as inherently biopolitical.